We spent four educational days in San Francisco attending Culture Summit. With a full day of culture-themed workshops, evening networking events and a final day of fascinating speakers, we are eager to implement our many learnings into our own work environment. We listened to expert speakers from Facebook, Linkedin, Airbnb, SnackNation (and many more) share valuable insights from their own experience. We want to share the best advice we heard with you, as we all continue on this great journey of creating better workplaces and becoming “Culture Champions”. Every company has a culture, whether it’s intentional or not. However, often there is a dissonance between how companies see their culture, and how they actually live it. The goal of this workshop was to learn how to map out culture in order to make the invisible visible. Valve Handbook– This memorable handbook for new employees is illustrated and written in a cheeky, irreverent, fun tone that is unique to Valve. Atlassian– They created a video of their core values, one of which being “Don’t F*** The Customer”. Having employees speak in the video and share their understanding of the culture makes it even more powerful. New Seasons Market – This grocery store embeds culture into new employees via activity in a long onboarding process. Over 6 months of storytelling, games, unpacking and enjoying a “culture picnic basket” and decorating nametags, there’s an ongoing tempo of conversations surrounding culture. 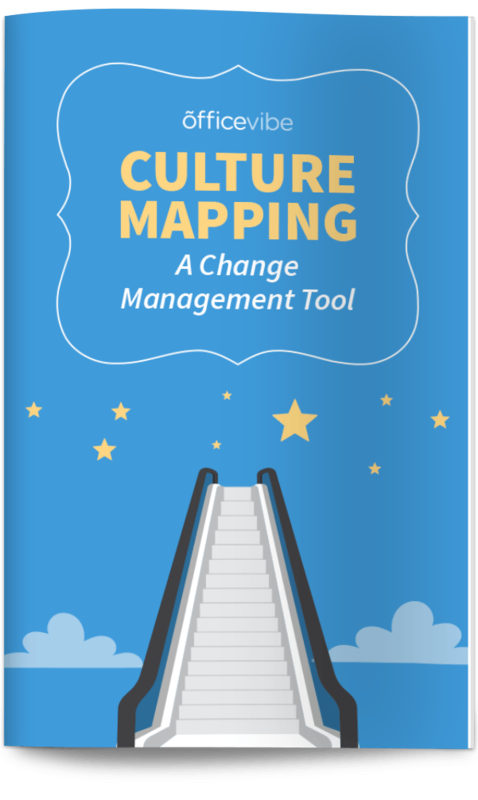 Download the ultimate Culture Mapping Tool to learn how to properly define and improve your company culture. It should be in your inbox any minute. When is culture mapping helpful? Scale culture, replace it or grow it! This is helpful when you currently like your culture but you are in a growth situation. Fix it, change it! This is key when you want to pivot and change your culture. Find someone to work with. Use these questions as a base, but feel free to steer off course as you dig into your culture. The point is to find out where your intended values are not made tangible. Repeat process for all of your company values. The point is to start a dialogue on the topic and pinpoint the areas where you don’t necessarily put action to intention. Rajkumari explains that it literally hurts to be excluded, which is why she left a top position at a top tech company, despite loving her job. The workshop looked at workplace inclusion/exclusion from a very interesting scientific vantage point, however the message was clear and simple: We need to focus on relationships and human connection in tandem with our focus on measuring and evaluating success. But first, what is diversity? Diversity, explains Neogy, is a mixture of belonging and inclusivity. They might sound the same, but the difference is that belonging refers to the ability to create a safe space for yourself, whereas inclusivity refers to the ability to create a safe space for others. Both are equally important. The left side of the brain registers things like measurement, comparison and evaluation. The right side of the brain registers things like paradigms, meaning, connectivity and relationships. Because our left hemisphere is more prevalent in our day to day, the right hemisphere diminishes, putting things like empathy, emotional intelligence, and human connection on the backburner. We are so result-focused that we forget the importance of people. Bring the right hemisphere to the forefront. When we focus so much on the left, the right fades and then inclusion, which is emotion-based, becomes impossible. Silver is a strong promoter of putting employees first, but what happens when you are a big, growing, remote company and you don’t have enough arms to meet with every employee, and check-in constantly? Claude introduces the wonderful term “culture carriers”. Instead of one department being in charge of keeping a strong company culture, you have every employee embodying culture at all times. How? Companies need to create a space of belonging and purpose. Create a psychologically safe space where people can bring their whole selves to work without the fear of failure. Create a space of diversity in the workplace – Everyone should feel they belong. Give constant acknowledgment and recognition – we all need it. Connection + trust + empathy = Loyalty, longevity and tenureship of the employee, as well as resilience to change. Town Halls are important for large companies because everyone is hearing the same message so they can understand and implement it quicker. Pay close attention to patterns that surface in feedback sessions and make changes accordingly. Kelly starts by posting a simple question: How do you create a company where people are encouraged to become the best versions of themselves? Kelly explains that Millennials attribute growth to purpose, and our purpose is constantly shifting. Tip: To help them grow, ask employees how and where they see themselves growing, then help them create individual development plans and check in on them during monthly one-on-ones to track progress. Human connection is at the fundamental core of our evolution. It always was and it always will be. When we connect, share, and bond with one another, work becomes about more than just tasks, it becomes about the human experience, and this is when teams feel empowered to grow. Empathy – Hiring based on emotional intelligence and empathy is critical, but how do you test for it while in candidates? Ask them to tell you about their proudest moment. If their answer is not about the team then they are not a good fit. Recognition and gratitude – At SnackNation, on Friday at 4 pm everyone comes together and we have volunteers that “crush” on each other (a form of peer-peer recognition) and then they say the things they are the most grateful for. Without investing in culture you will not attract top talent. – Marta Riggins. She continues to suggest that millennials are “consumers” of workplaces, looking for the perfect space for them to belong, and often the perfect space is the one that fits their cultural needs. Why does having an authentic culture matter? Culture and employee experience is a differentiator. It helps form your brand, and it will help you be an employer of choice. Happy and engaged employees drive strong business results. Millennials (40% of the workforce) are the most diverse generation in the US workforce which is one reason why diversity in your company culture is so important (Gallup). Millennials are the most likely to want to know their colleagues as WHOLE people, not just what they do at work (Gallup). This is a big generational shift towards meaningful workplace connections. 57% of millennials say that they are more likely to stay at their company if they are able to talk about non-work-related things with their managers (Gallup). Monica looks at Facebook as an example of a massive global company that needs to scale its culture. She then looks at the trends driving the future of work, and why company culture is tantamount to success. How can you create a cohesive culture across so many offices and people? As we discussed earlier as a takeaway in the first workshop, the values that make up culture work best when there is a tangible element to it. For example, all Facebook offices have open, incomplete ceilings. What does this mean? You can therefore imagine the impact that culture and values have on innovation. Company complexity: Companies are getting more and more complex and moving faster than ever. We’re expecting them to produce more and faster. Technology: Technology is changing at a mind-boggling rate. Americans touch their phone 8 billion times a day collectively. Because of this we have the attention span of 8 seconds. What this tells us is that we need to reinvent the way we work because we’re evolving away from a traditional way of working that was once siloed and command and control toward a new, mobile, democratic way of working that provides access to all. There’s a lot of room to do things differently, but one thing that must remain steadfast is values. What does it really mean to be truly diverse? Simply hiring people of different races and nationalities does not necessarily qualify as diversity. And, there is a responsibility that comes with being a diverse organization that goes beyond just recruiting a diverse team. The next question on the panel was a nod to the state of today’s world. How do you address and make employees feel like they belong internally when there is a massive lack of inclusion occurring externally? Pause: Leaders need to pause when things are going on outside of work. Slow down. These things effect people – we need to pay attention to that and understand how outside culture affects the culture within an organization. See the whole person: Companies have to understand that the term “employee” does not simply refer to a singular transaction between two people. Nothing goes further than knowing that your employer is standing behind you when you are shaken. Managers should be trained to know how to support their employees during hard times. Reconsider the role: The role of diversity and inclusion advocate has really changed over the past few years. Coming to work and talking about recruiting is trivial in these times. At the end of the day, we can only control what happens inside the organization. We, therefore, need to create a place where all of our employees are treated equally and have the setting for advancement. Leadership In this political climate, we have to start looking at work communities as full communities, knowing that they have a very real effect on individuals. Leadership needs to be held accountable to send a clear message about what beliefs and discussions are acceptable at work. Our overarching takeaway from Culture Summit is that culture is indispensable to company success. Culture needs to be well-defined and communicated to everyone (preferably visually) in order to build a cohesive, successful brand. What is clear more than anything is that people and community are the bottom line of every culture. Human connection, trust, vulnerability, empathy and transparency should be at the top of your company’s lexicon. Companies need to be responsible and hire leaders that are not only skillful but sensitive to others, and these leaders need to build teams that are driven by respectful relationships and connecting. It was a wonderful experience to surround ourselves with all those at Culture Summit who traveled from far and wide to expand their knowledge on how to improve company culture. It is by constantly informing ourselves – and of course, connecting – that we will be able to grow. What are your standout takeaways from Culture Summit?